GREENPOINT – Big developments in the Greenpoint real estate scene are afoot as iconic property changes hands and developers reveal big plans. 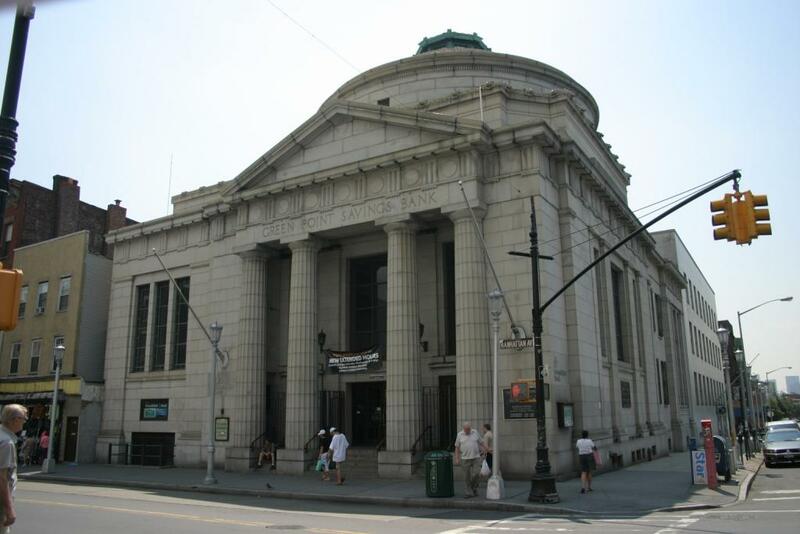 First, the iconic Greenpoint Savings Bank was sold to real estate investor Jack Terzi for more than $10 million, reported Crain’s New York. The 100-year old neoclassical building with Roman columns is under long-term lease to Capital One Bank, but may one day serve as retail for the neighborhood, especially as the waterfront retail boom drives up density and population in coming years. 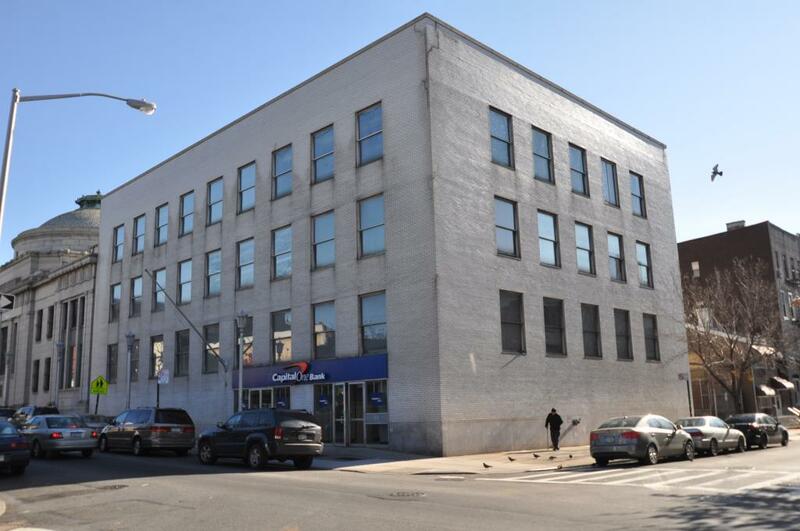 The annex to the bank, on Calyer Street, will stay with Slate Property Group, which bought both buildings in 2015. According to 6sqft, Slate will convert the building, which currently offers office space, into 25 large luxury condominiums. Slate will also be adding two stories to the current three-story structure. Further up in Greenpoint, the enormous development project at Greenpoint Landing will be betting big on towers, announcing a billion dollars worth of development at their project, according to Curbed. Currently, three affordable buildings are up along the waterfront, with two market-rate development projects underway. But the biggest was saved for last, as Brookfield Properties and Park Tower Group announced they’d join forces for a two-tower addition to the waterfront development esplanade, which will add 5,500 units to the neighborhood. 1,400 of those units will be designated affordable housing, and the continued project will add four acres of waterfront greenspace to the neighborhood. Though details—like you know, the addresses—are still scarce following the announcement, construction may begin as soon as 2019. Along the same waterfront, permits indicated that Red Sky Development would consolidate their plans for two buildings into one next to the nearly-finished looking 18 India Street. Behind Transmitter Park, the 30 Kent Project will rise 11 stories, and plans recently expanded from 70,000 to 90,000 square feet. The old blue warehouses on the site are still standing, however, so construction may be a ways off. Finally, up at the former industrial site between Dupont and Clay Streets on Franklin, All Year Management ponied up $55 million for about 335,000 buildable square feet of land. That property may be in serious environmental remediation, however, before development can truly begin.